We are so excited to have our Children’s Director, Janie Swinford here on the field full-time! This year VBS will be July 10 – 13 from 9 – 11:30 a.m.
All children ages K—6th grade are welcome. We have had a great response so far with so many who are willing to make time in their busy schedule to help with this very important ministry. However, we still need more help to make it successful. This is one of our main opportunities of the year to reach out to the community and invite lots of children to come learn about the Lord. If you would like to help, sign up in the foyer or contact Janie Swinford at 316-461-2563 or the church 361-806-2211. LifeWay’s 2018 VBS invites your kids to grab their megaphones, lace up their cleats, and tune up their instruments. As they fill up the offensive line, sideline, and drum line, your players, cheerleaders, and band members will realize God has given them His ultimate playbook. He wants them to join His team, train hard, celebrate salvation, and encourage one another. 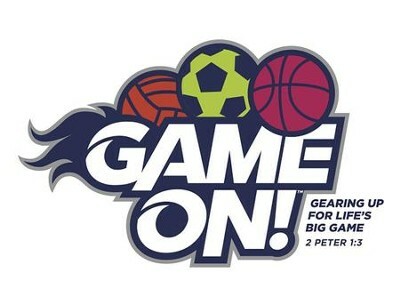 Get in the spirit today with Game On VBS. Are You A Member Of Summit Church Texas?